Thanks for visiting Graziano's Corona. We'd love to have your feedback! I actuallyu had this and was very surprised how quickly it filled me up!!! very good! These garlic knots are AMAZING!!! They are a must order every time! My brought home her leftover broasted chicken from lunch today. It was so delicious, flavorful and crispy yet moist inside. It was so good I am ordering it for my family for dinner to tonight! ! These 2 pizzas are the very best in town especially with the ranch dressing. Our favorite pizza place in Corona for 17 years. This is the best pizza in town! just a great start to a good meal. The mozzarella is the icing on this cake!! Their broasted chicken is the Best in Town! This is a complete meal with a little bit of everything. I order this once a week. Great pizza, good size, good deal! This is always a part of our order. There's nothing like broasted chicken and the best chicken is from Grazianos. Always crispy and juicy! Why is everything here so amazing? Really good salad. I will definitely order it again! Love this dish and so do the kids, its always our "go to" when we order from here. The Broasted Chicken is great hot and crispy. This is a great combo for a family. Seriously can't get enough of these! Good app platter with a little of everything you want at happy hour! You will love these more than their incredible pizza. They are so delicious and perfect combo of cheese and bread. Must get. Had it and truly enjoyed it, great place to hangout with friends and family and watch football 🏈. Was so delicious, The sauce is to dye for!! Great Food, Great Atmosphere for both Adults & Kids! Love the deals and great pizza!!! Ordered this with my favorite Grazinspecial Pizza & had spaghetti two nights in a row and it was even better the next day! Grazianos never disappoints!! Love their pizzas and wings! All great. Cannot find better! Love their Onion rings!!! So yum!!! My son's favorite pizza of all time. They do it right! I absolutely LOVE these hot & garlicky little gems! Just the perfect little h'ordeurve - not too much or too little. And, Graz's customer service and hospitality are great, too! If your family is hungry this is a great deal for you and your family!!! I was amazed at how delicious these were. Definitely homemade freshness and goodness! This looks amazing can't wait to try it! Brooklyn style crust is the only way to have the pizza, so yummy!!! Always hot, and taste amazing. You can never just eat one. Hot and toasty every time. 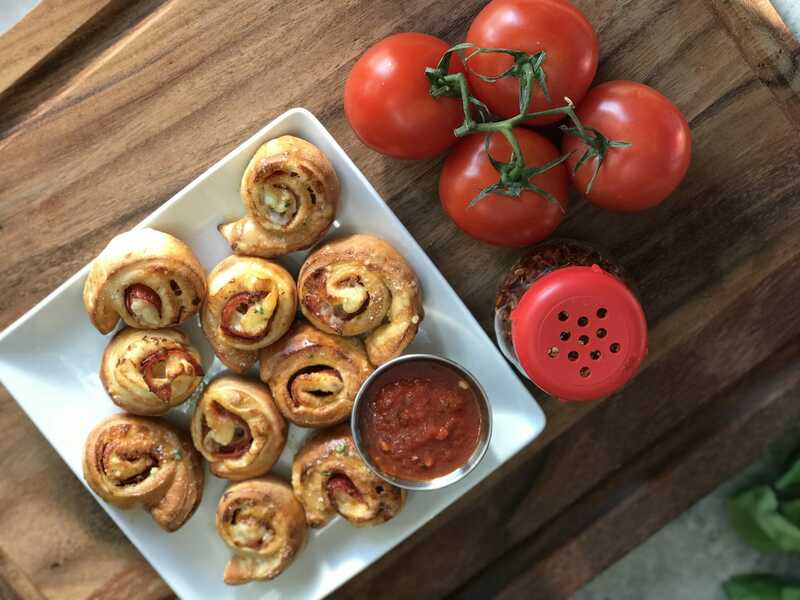 Imagine the best pizza roll you have ever had...now you it in individual bite size treats! Wow...so good! My favorite pizza in the world! This pizza is delicious. My favorite by far. Delicious. Crispy, flavorful yet moist inside! Great tasting pizza!! My family loves it!!! The Grazianos eggplant sandwich is my favorite. These are the best tasting fried mozzarella sticks ever!!! Will be ordering this next time I visit. Pizza is good and prices are right! They have the best Ranch!! These are seriously amazing! Love them! They have the best pizza! Very tasty! The knots are amazing, always fresh, hot, and we love getting these with every delivery. Fresh ingredients, best deal for your buck! The chicken was delicious, moist and well seasoned. Its not greasy, and very golden crispy. Not only the best pizza inn town, but their breasted chicken is over the top! Love the spaghetti and garlic bread. Yummy in my tummy! Love this place! Food is always on point! Very good! One of my favorites. Best pizza in town and a great deal! Awesome pizza & a great deal!!! The pizza here is amazing! Best I've ever had! Best chicken ever good service too! Always what I look forward to getting! This is pretty darn good. This is our go to when no one wants to cook. Their weekly specials have this for 2 people with salad and garlic bread. Its dinner! Soooo garlicky and gooey! Yum! This is the best BBQ chicken pizza ever. We go to Grazianos just for that. Calzone is a delicious make it your own dish and at my favorite pizza spot. Always a favorite of mine. This is my family's favorite! Fully loaded! Yum!